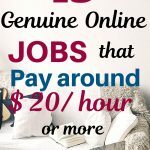 I love these online jobs that pay $20 an hour and make you money from home. This is the beauty of side hustles that you earn money working part time and get paid. Internet has made it really easy to match the side hustlers with side hustles. Here are some of the online jobs I love . Though I am not doing all of them but I found them to be lucrative. I myself is a side hustler and love to earn extra money. I love to save or invest the money which I get from side jobs. 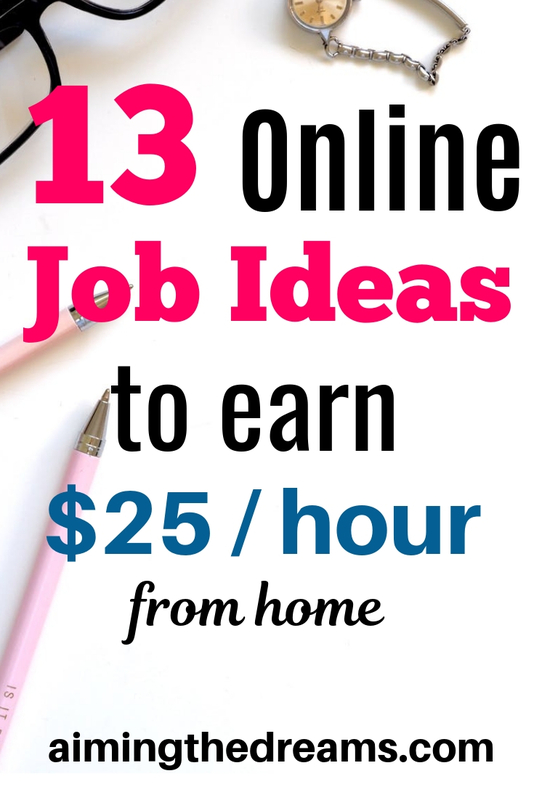 Side jobs are great if you want to earn money in your spare time and grow your account. 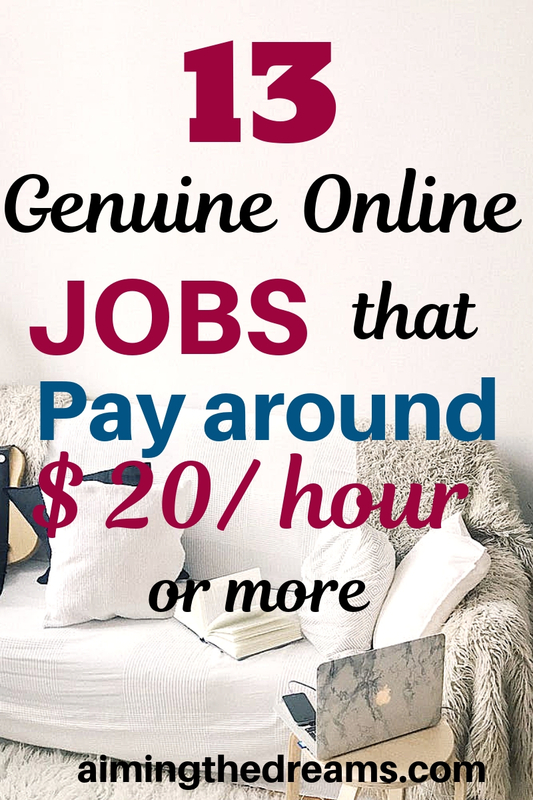 Here is a list of online jobs that pay $20 an hour or more. VIPkid is an online company that pay you for teaching English online. You can earn around $24/hr . But you should be native English speaker to apply with VIPKid. Also you shuld have a faster internet connection, a headset and skype installed on your computer. They are always looking for teachers to teach English online. If you feel like you can be a good fit, go sign up for it. Chegg is a tutoring company that pay around $20 for tutoring. They hire tutors all around the world have a vast list of subjects. You can choose the subject in which you feel like you are an expert and can tutor somebody. First you need to pass their test and then you can apply to be a tutor with Chegg. You also need to have a college degree to apply with them. But the pay rate is good and they pay weekly to bank account. They hire proofreaders/editors and pay a good rate of $20 to $50, depending upon the type of project. 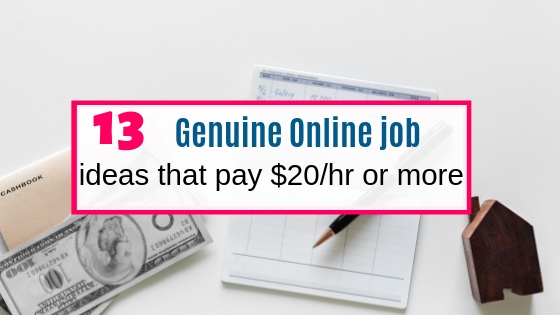 Their work is temporary so you can use them only to supplement your freelance income. You may not be able to find continuous work. Buffer is a social media management company that hire people. They pay around $20 an hour. They hire app developers, software engineers, data analysts and more. Usetesting is a website testing company. There are many more but Usertesting is the biggest one and you can get paid around $30/hr for testing website. Before applying, you should have a computer, a high speed internet connection, headset, a microphone and a webcam. Once you get approved, you will start getting websites for testing and you can make $10/test. Each test takes 10 to 20 minutes to complete. They pay through Paypal. If you remain consistent in your efforts , you may earn 15 to 20 dollars an hour. Revolution Prep is an education company that pay for teaching students of grades 6-12. Their pay rate is around $20 an hour. You need to have a bachelor degree and some prior teaching experience. The social element is a company which hires social media managers who can moderate third party social media accounts. They pay around $15 to 20 for remote work. You can sign up with The social element if you feel like you are knowledgeable about the social media platforms and start earning money. Belay is a company that hires people who are virtual assistants and book keepers. They hie it under the category contractor jobs. Once you get accepted, you may earn $15-20 /hr depending on the work. Rev.com is a company that hire transcriptionists to do the transcription work. It depends on you how much work you want to do. They pay around $ 20 – 25 / hr of the transcription work. It is bit slow in the beginning but as you get experienced, you will start earning more.Before being accepted, you need to pass their skill test. Magoosh is a company that hire people for test preparation for GRE, GMAT, TOEFL, SAT and ACT. You must be a graduate and have high scores in GRE, GMAT ans SAT. They pay around $20 on weekdays and $25 on weekends. If you feel like you can qualify for this, go for it and start making good side income. Virtual Office Temps is a place for virtual assistants to find work. They hire people for services like clerical support, administration, management, social media evaluator and many more. You can check their job board where you fit and how you can find work related to your skill. From jobs listed, you can see that those jobs pay anywhere from $14 to 20/hr. Best apps and survey sites that pay for referring people. Please share this post if you like it. I will be really thankful from my heart. It may help somebody find a side income idea. Sharing is caring.